It’s time for a good, old fashioned Weekly New Item Round Up! We’ve been getting many new website templates and it’s time to show them a little more love. So in this week’s round up we’ll be dedicating the entire post to our outstanding Premium Website Templates. Saddle up because here comes the website template round up! 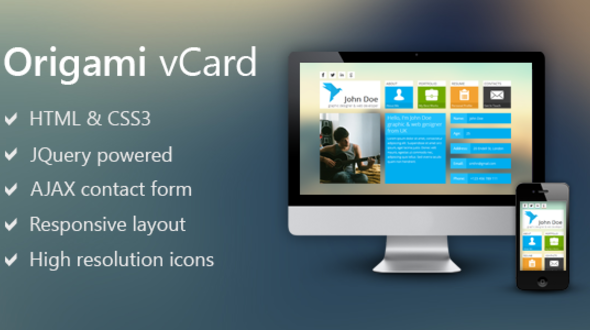 Origami – Metro Inspired Vcard Template – is an HTML5 Metro Inspired Vcard that is a light, responsive vCard template. It features an integrated slider, Google Maps and high resolution icons. Origami lets you to express yourself in a shiny way. Sound – One Page Retina Website Template – is a creative, retina ready template with unique one page design that fits best for software, resume, portfolio, charity, corporate. Sound uses a dynamic grid layout and it’s responsive design looks and works great in all mobile devices, supports all internet browsers. 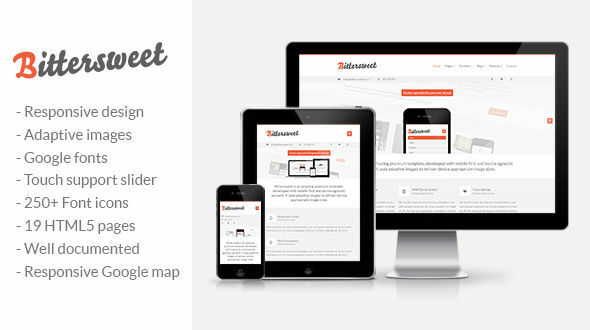 Bittersweet – Responsive HTML5 Template – is a responsive HTML5 /CSS3 template for business or a blog site. 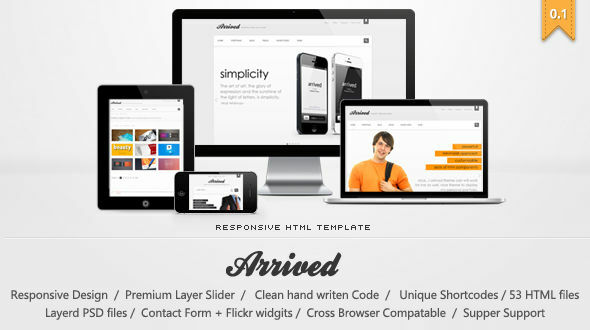 It has a clean and modern design, very flexible and multipurpose template that comes well documented. It was built with a device agnostic and mobile first approach, looking great no matter what device – from mobile phones to large screens. The template uses Adaptive images by Matt Wilcox to serve device appropriate re-scaled images. 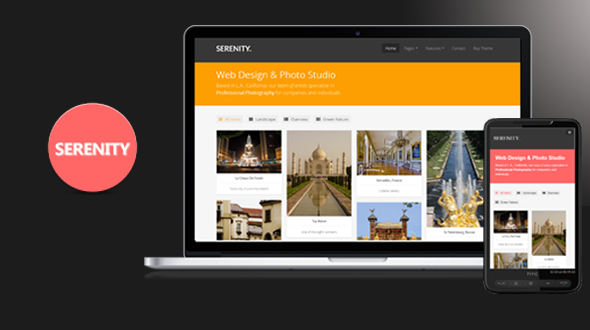 Serenity – Responsive Portfolio Template – is a simple, clean, responsive, elegant and modern template. It is built with portfolios in mind to help convert visitors into clients, easy to edit and maintain. You can create your website in just minutes using the Serenity template. Like what you see so far? Come and see all of the Premium Website Templates we have to offer on the MOJO Marketplace. 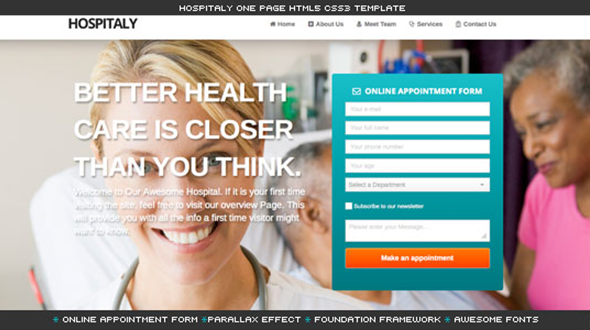 Hospitaly – Hospital HTML5 Website Template – is a unique template based on HTML5 and CSS3. It is actually designed as a hospital template. It’s good for hospitals, doctors, medical centers, personal care and yoga centers. 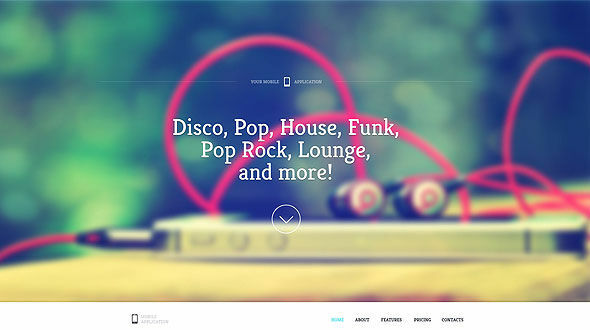 The parallax effect is used on theme and it is in onepage style. Hospitaly has an awesome fonts feature used in design and has an online online appointment form. You can create amazing websites for your business using this hospital template. Arrived – Multi Purpose Responsive HTML Template – is a clean professional multipurpose template, it is suitable for app website, corporate, creative agencies and any kind of business. Arrived have a lots of ready to use elements: over 80 shortcodes, Google web fonts, PHP contact form and Flikr images widgets. The HTML is very easy to customize and update. BizLeaders – MultiPurpose Responsive Template – is a multi-purpose, responsive HTML template, with a professional design, perfect for a corporate, business website. 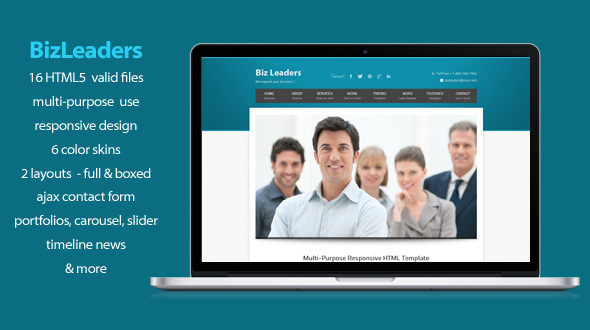 BizLeaders is easy to set up with 2 different layouts to choose from, wide and boxed. It features 6 color skins, a working AJAX contact form, a clients area, a recent work carousel and animated team boxes. 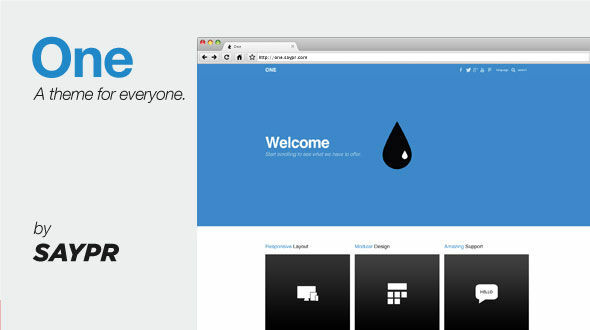 One – Responsive Multipurpose Template – is a simple and clean template built from ground up with modularity in mind. It is designed and developed to fit the needs of any business or person by giving the users a wide range of modules to pick from. With it’s 20+ modules, you are able to add pretty much any content to your website. Anything from a carousel to Google Maps. Just take a look at the list of modules to see what is available. And did we also say that everything is responsive? This is a snap shot of all of the awesome website templates on the MOJO Marketplace. To see what else we have to offer, just go to MOJO-Themes.com. Thanks to all of the sellers that focus on bringing Premium Website Templates to MOJO!